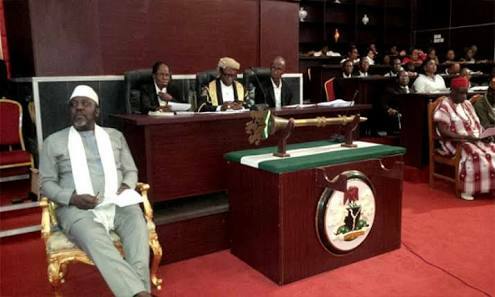 Nineteen out of the 27 lawmakers of the Imo State House of Assembly have joined Action Alliance (AA), denouncing their memberships of the All Progressives Congress and Peoples Democratic Party respectively. The Speaker of the state House of Assembly, Acho Ihim, who read the notice of defection signed by the lawmakers during plenary on Thursday evening, also announced that he had joined his colleagues in AA. The majority leader, Osuji, who equally joined AA, said that the APC national chairman meted grave injustice to them during the controversial APC primaries in the state. He said that he felt ashamed that he was ever associated with APC. Osuji who still maintained his status as the majority leader after the defection said that the lawmakers would team up with the AA governorship candidate in the state, Uche Nwosu, to win the governorship election. He said that the lawmakers would work for the electoral success of Buhari and AA governorship candidate in the state, Nwosu. 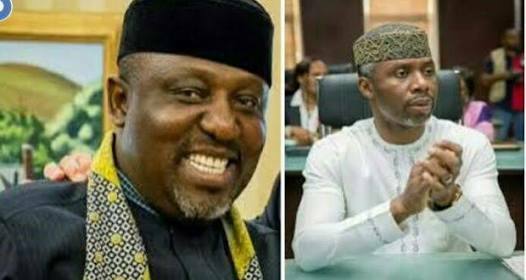 Hey Buddy!, I found this information for you: "Okorocha’s Son-in-law: Imo Speaker, 18 Lawmakers Decamp & Join Him in AA". Here is the website link: https://headlinenews365.com/okorochas-son-in-law-imo-speaker-18-lawmakers-decamp-join-him-in-aa/. Thank you.